In true Dalhousie fashion, the first tent to go up was yellow. 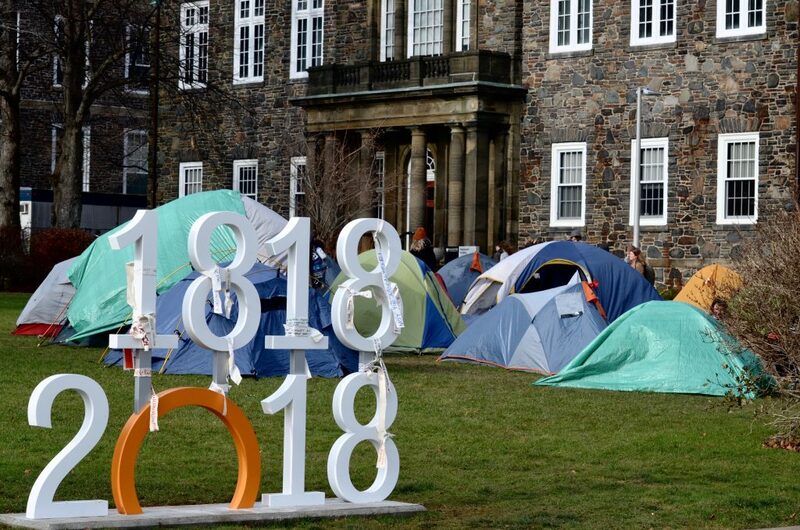 Over the following week the tents multiplied like mushrooms, sprouting up across the Studley Quad as members of Divest Dalhousie camped out to put pressure on university administration. The mandate was clear. It was scrawled on signs and posters around the campsite: divest the university’s endowment funds in fossil fuels. 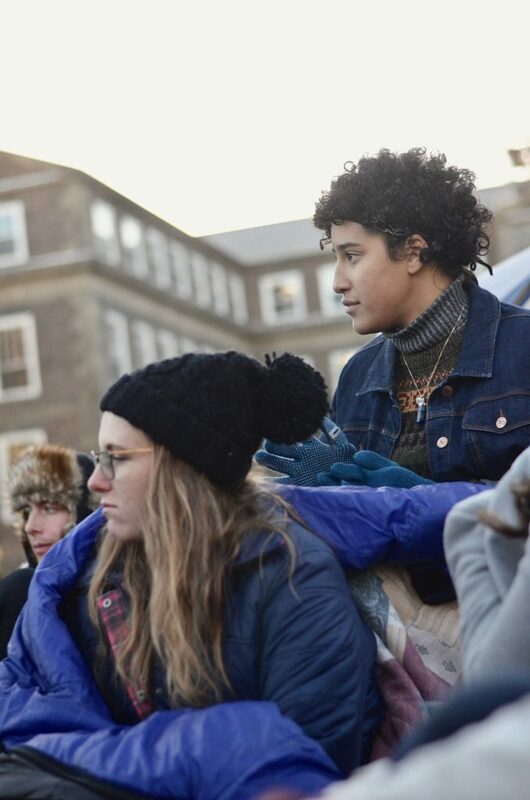 The action – officially the longest on-campus campout for fossil fuel divestment in Canadian history – won the group speaking minutes at the Nov. 29 Board of Governors meeting. The last time Dalhousie’s board had considered divestment was in 2014. 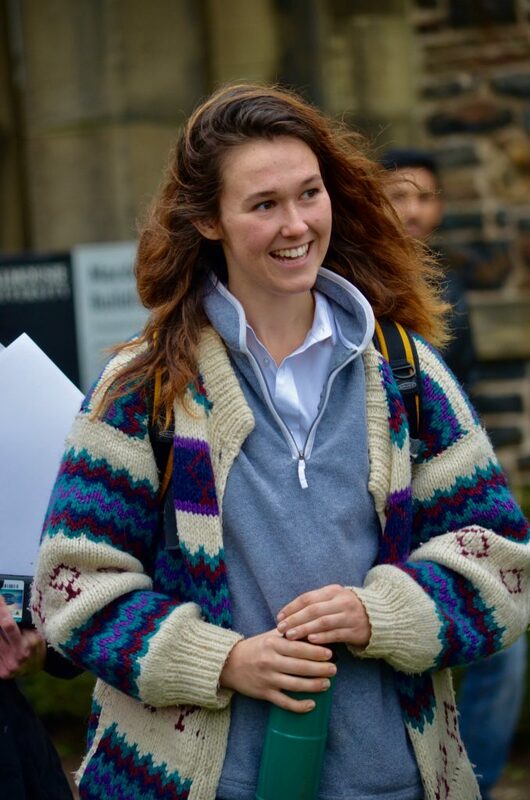 The BOG voted the motion down after a recommendation from Dalhousie’s Investment Committee on Nov. 25, 2014. In those three years since, divestment debates have heated up. The Atlantic School of Theology became the first official Canadian post-secondary to divest, followed by Laval University in Quebec. 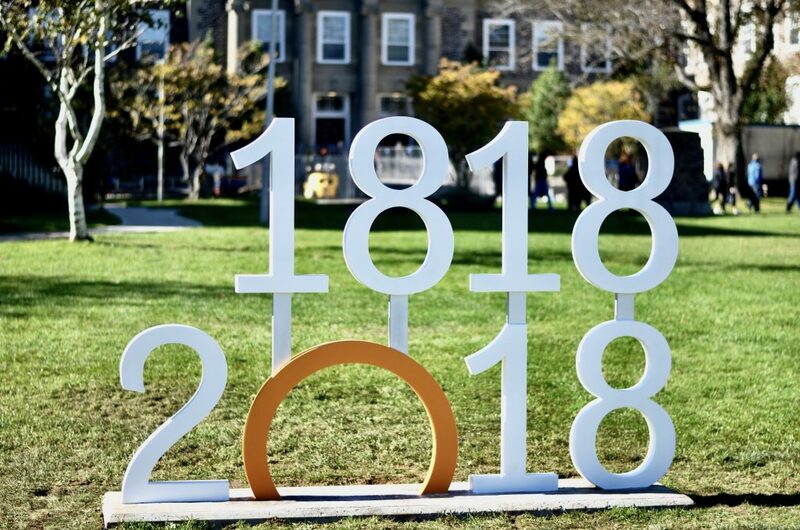 As Dal celebrates 200 years, members are urging administration to consider what another two centuries will look like as the climate crisis worsens. The Studley Quad before Divest Dal’s action. Tess Pür-an, an organizer from Nova Scotia Public Interest Research Group (NSPIRG) leads a Self-Care in Activism workshop on Nov. 24. Participants huddle in sleeping bags to stay warm during sub-zero temperatures. 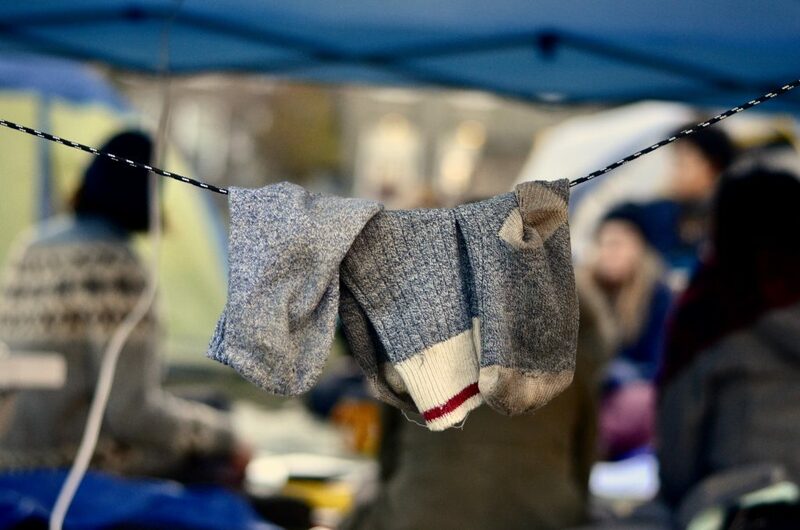 No cold feet here: braving the damp and the rain, protestors hang their socks on a makeshift clothesline to dry. 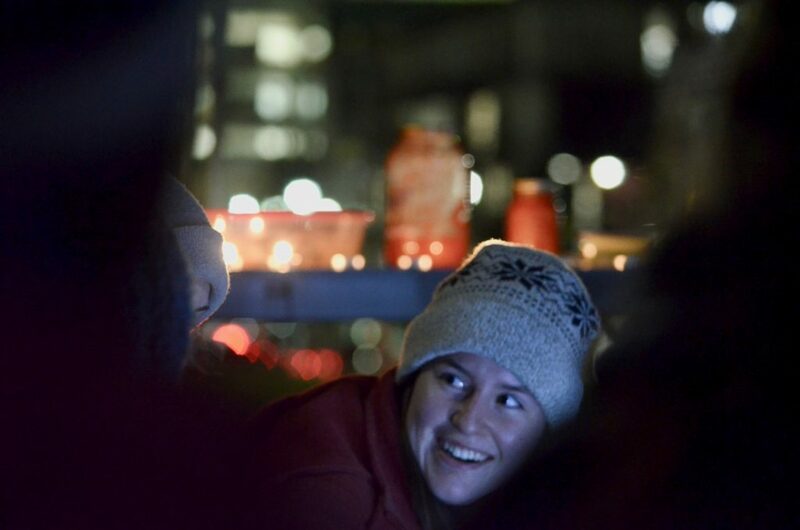 Divest Dal protestors and supporters gathered for a vigil on the final evening of the campout to share their anger, frustration and hope. 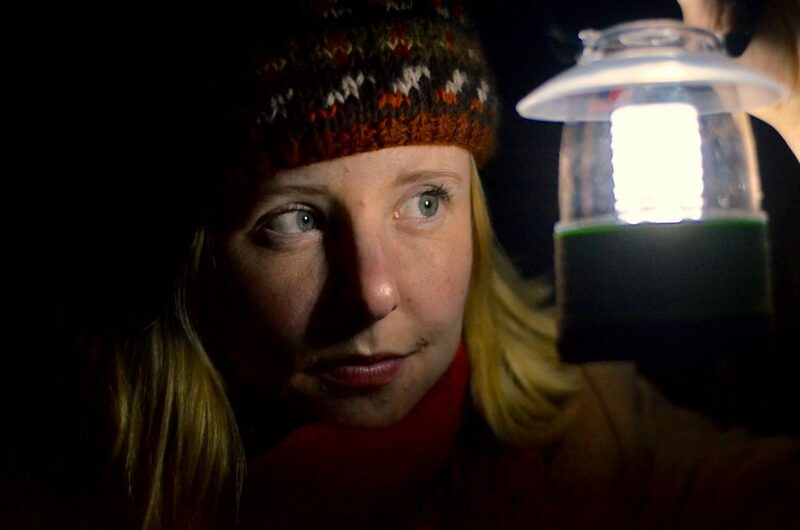 Ally Lord holds a lantern to see across the campsite in the dark. 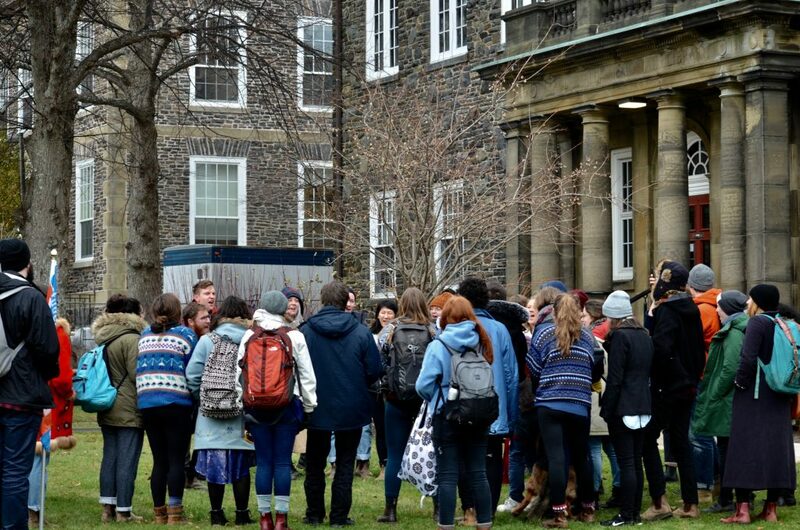 The crowd gathers outside of Dal’s Board of Governors meeting on Nov. 29 after delivering an address to the board. 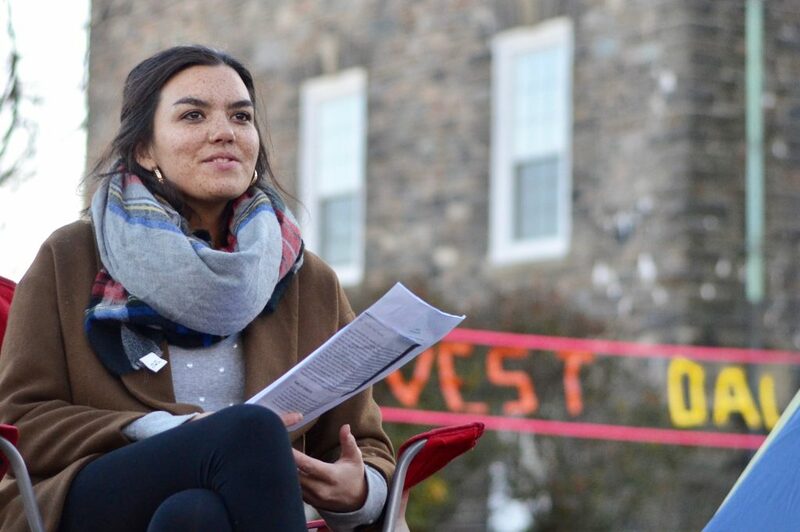 “I was really proud of what we accomplished and looking forward to making more progress with Divest in the coming months,” says Emma Sigsworth, a Divest Dal member. 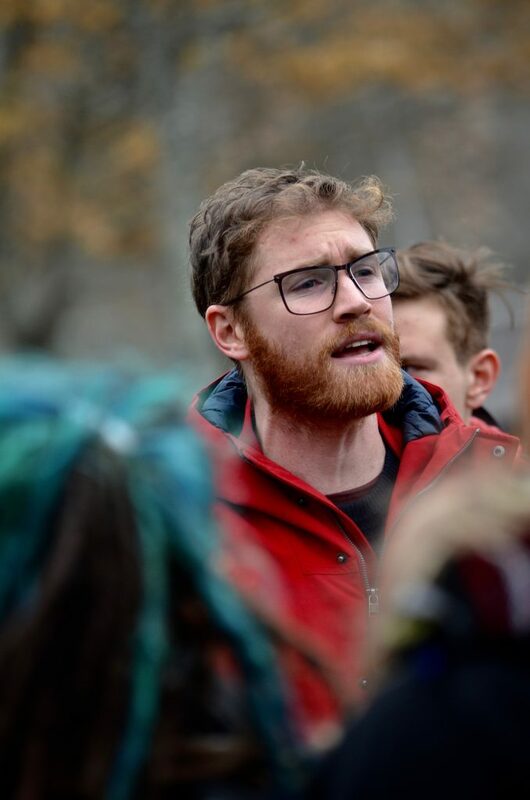 Simon Greenland-Smith, a Divest Dal organizer, leads protestors in rallying cries outside of the Macdonald building where the board meeting was held. Participants scrawled their hopes for the next 200 years at Dalhousie in sharpie. After ending the action on Nov. 30, members rolled up their sleeping bags and folded away their tents. The cleanup was quick and went largely unobserved by students preparing for exams. But in the days following, traces were there: flattened grass and worn-down earth revealed where students had slept for eight nights. Going into 2018, it’s worth wondering what traces our bodies and our institutions will leave on the soft soil where they stand.